This is the first time I make crocheted pants and I am very happy with the result. Why pants - well, my toddler refuses to use any blankets at night. Every time I wrap him up with a blanket he wakes up and throw it angrily away. 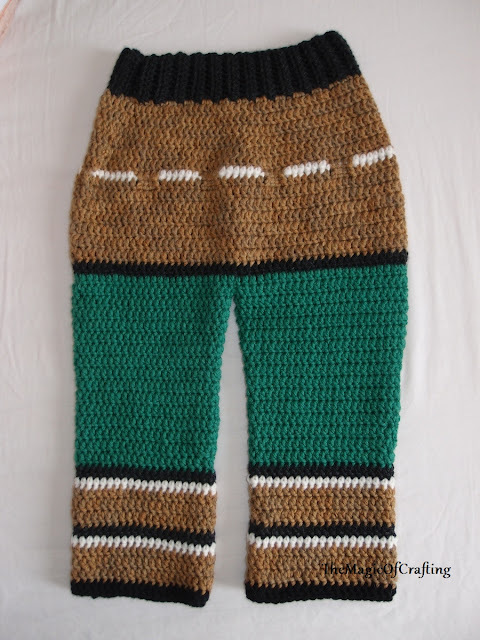 So I gave up and decided to make him warm crocheted pants for the cold nights instead of waking up every one, two hours just to wrap him up. The pattern is for 4-5 years old kid. 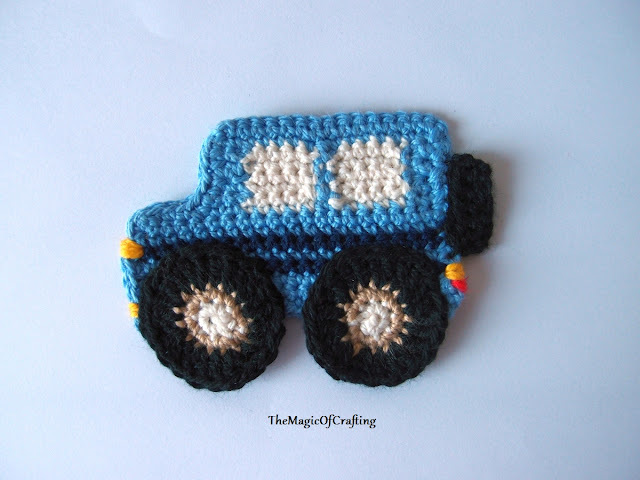 If you need for smaller kid you may go a size down of the hook or just remove few stitches from the starting chain. Yarn: 100% merino wool, machine washable. 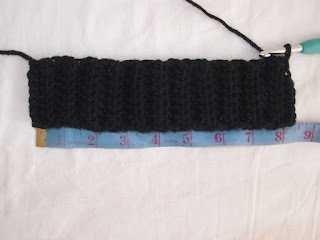 Finished size: 21in(53cm) long without the ribbing, 23in(58cm) with the ribbing on the bottom, 8.5in(22cm) wide at the waistband, 13in(33cm) at the widest part around the hips. 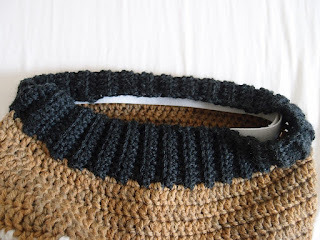 ltr - linked treble/tripple stitch, there are few ltr st used in the pattern, if you are not familiar with ltr st you may check my tutorial or just replace them with simple tr stitches. 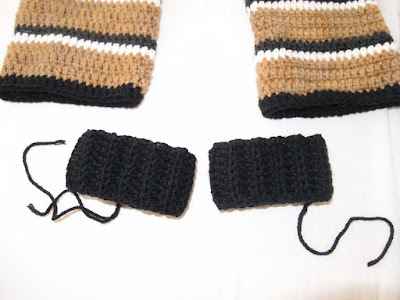 - For the yarn - it is important to make swatch not only to check the gauge but also to ensure the yarn is soft enough. The pants are also wide enough for some thin soft lining (I have added thin fleece for additional warmth and softness). 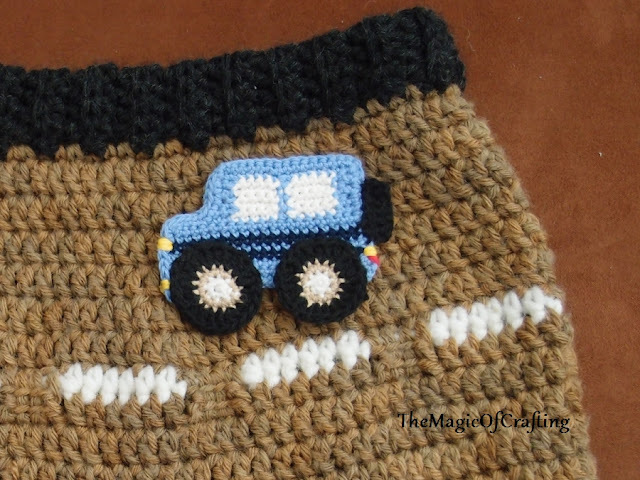 - The pants are worked top down, the waistband and the elastic around the leg are crochet separately and then sewn. 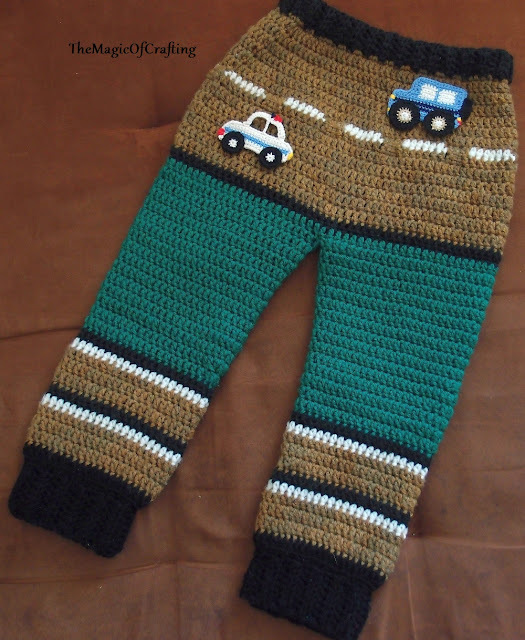 - You may put whatever appliques you like but the upper part of the pants is designed to simulate a road. - You may also leave the pants straight, no elastic on the legs. If you do so make sure they fit the height of the kid. With added elastic the pants may be slighly longer as they won't stumble the kid. Ch 10, sc in second st from hook, sc till end (9st). Row 2 - ch1, hdc in the the same st, hdc in the back loop only till end, turn. Repeat row 2 till the piece measures 17in(43cm) long. 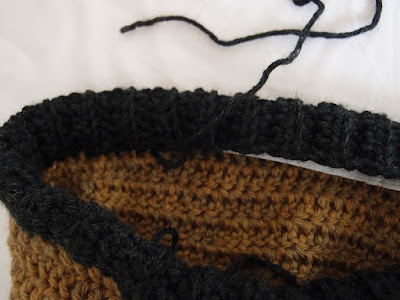 Sew both ends to form the waistband. 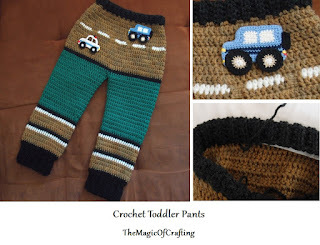 I have added elastic to the waistband at the very end so the pants don't fall off the kid. Round 1: Join brown and make a row of sc around the waistband (don't sew the elastic yet, leave it for the end). End with ss. I have ended up with 88 st - few more or less will not matter. Just make sure when you do next increase row you end up with 100 st at round 7 (round 4, 6 and 7 are increase rounds). If you want to follow exactly the pattern you may first make the pants and then sew them to the waistband - just ch 89, sc in second st from hook, sc around and continue with the rest of the pattern. Sew the waistband to the pants at the end. Round 2, 3: Ch2, dc is the same st, dc in each st around, ss at the end. Round 4: Same as round 2 but with 4 dc increases spread evenly (2 at start and every 1/4th of the round). Round 6, 7: same as round 4 - round of dc with 4 dc increases spread evenly (100 st). Do not cut the yarn here, you may just transfer it after one row. Round 8: Join white - ch1, hdc in the same st, hdc in next 5 st, *ch 4, skip 4 st, hdc in the 5th st, hdc in next 5 st*, repeat * - * till end, ss in ch 1. Round 9: With brown ch2, dc in same st, dc in next 6 st, *tr, linked tr in the next 3 st - where the chain of previous round is, dc in the next 6 st *. Repeat * - * till the end of the round, ss at the end. You may replace the linked treble st with a simple tr. However the ltr will hide perfectly the white chain from the previous round. Round 10 - 15: Ch 2, dc in same st, dc in each st around. End with ss. Round 16: Join black and repeat round 10. Round 17: Join green and repeat round 10. Legs: Spread the stitches equally for both legs - put a marker on the 25th and 76th st. This is the border between the legs. Ch 2, dc in the same st, work dc in the next 23 st, yo and insert the hook in both marked st, make dc. The next dc should be in the 77th st, continue working dc in every st after the 77th to form the first leg. You will have 49st for each leg. Round 6: repeat round 4, decrease round (45 st). Round 7, 8, 9, 10, 11, 13, 15, 16: repeat round 1. Round 12, 14: repeat round 4 - decrease round. Round 17: Join black and repeat round 1. Round 18: Join white, ch 1, hdc in same st, hdc in each st around. End with ss. Round 19 - 21: Join brown, repeat round 1. Round 22: Repeat round 17. Round 23: Repeat round 18. Round 24 - 26: Repeat round 19. Round 27: Repeat round 17. Make the same for the second leg. Elastic on the waist: cut around 20-21 in elastic and sew both ends so it makes a round. Sew it on the waistband as on the picture (the waistband is folded in two). You may leave them this way or add elastics on the legs bottom. Row 1: With black ch 9, hdc in second ch from hook, turn. Work in the back loop only. Row 2: Ch 1, hdc in the back loop of the same st, hdc in each st around. Turn. Repeat row 2 till the piece measures 8.25 in, sew both ends together. Make one more elastic for the second leg. 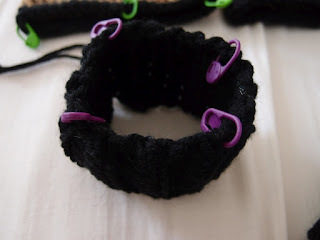 Sew the elastics to the bottom of the legs. The easiest way is to put 4 markers spread evenly on the elastic and 4 markers spread evenly on the leg bottom. 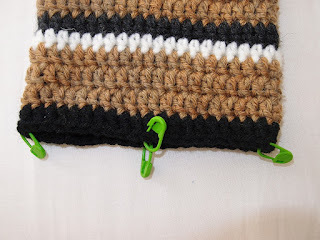 Then sew the elastic so you join at the markers. 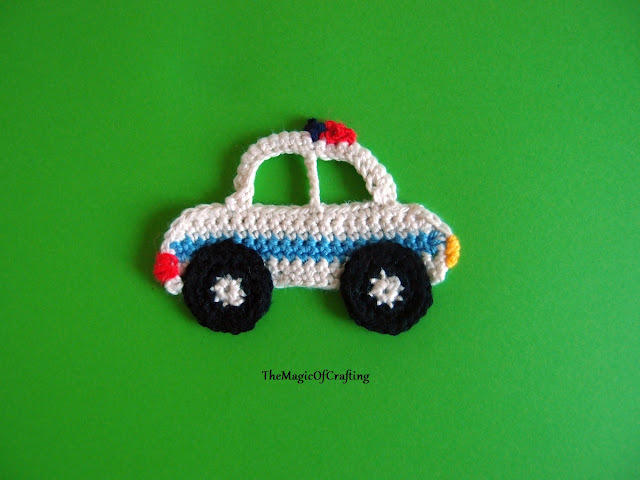 Check my other patterns on Ravelry.